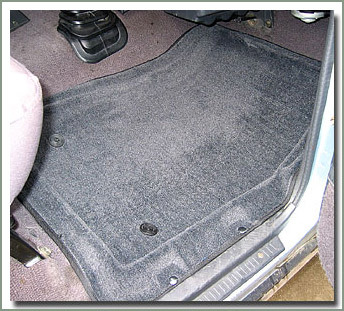 This unique new SOR Carpet Trap Mat is designed to protect the interior of your vehicle and keep your factory carpeting looking like new. 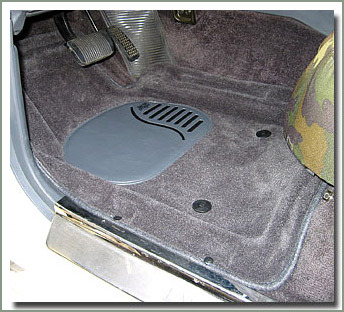 These revolutionary new mats are molded to the individual contours of the floor with raised edges that 'trap' dirt and sand carried into the car by your feet. 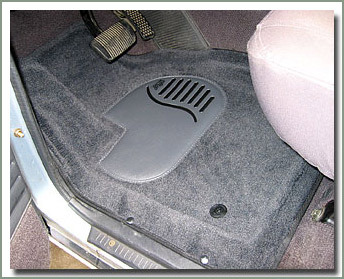 SOR Carpet Trap Mats are far more effective than a traditional flat carpet floor mats. 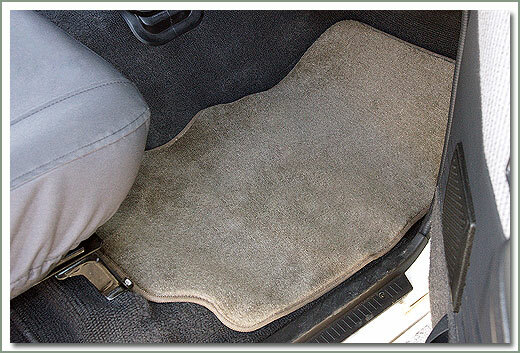 Easy to remove from the vehicle for cleaning. 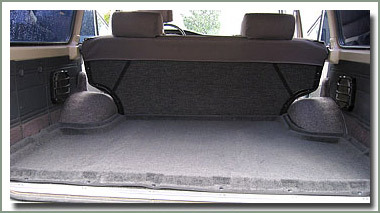 Securely positioned with carpet lock screws and side lock clips along the door sills. 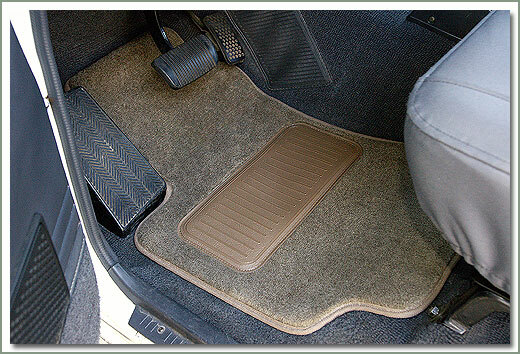 These will not move around under your feet while driving. 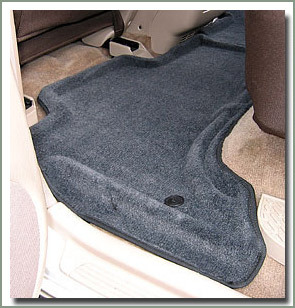 Made of automotive grade plush cut pile carpet, heat molded to fit your specific vehicle. 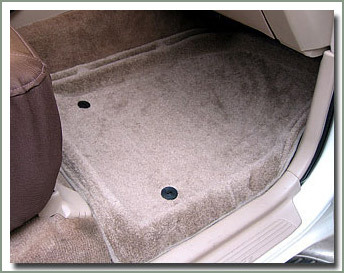 The front set consists of front drivers mat, front passenger mat, and mid passenger mat. 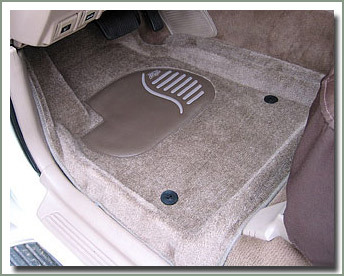 Has a heel pad on driver’s side for extended wear. 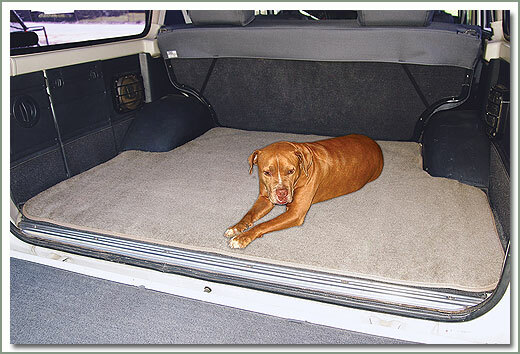 SOR Rear Cargo Mat sold separately. 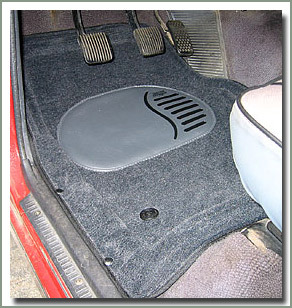 Available for 60, 62, 80 & 100 Series. 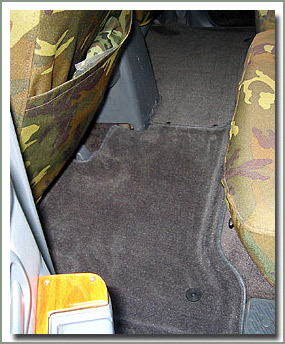 SOR’s Plush Carpet Mat Set will help protect your factory carpeting and also add a layer of insulation. 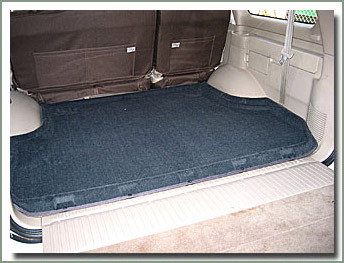 Reproduction of the factory mats which were available from Toyota as a factory option when your Land Cruiser wagon was brand new. 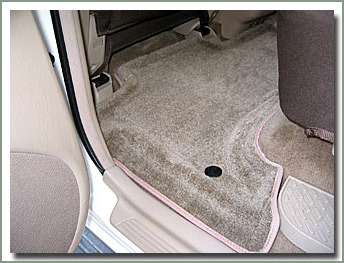 These mats are constructed of 100% Dupont BCF nylon carpeting. 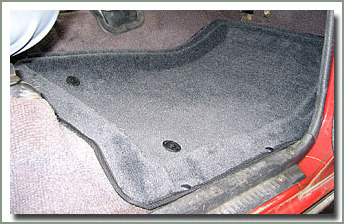 PVC nib textured backing which holds mats secure in place. 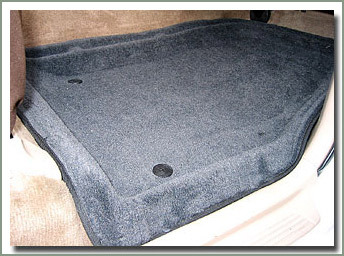 All mats are trimmed and top stitched for a durable finished product. 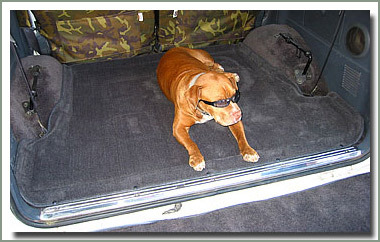 All mats have been Pit Bull Tested! 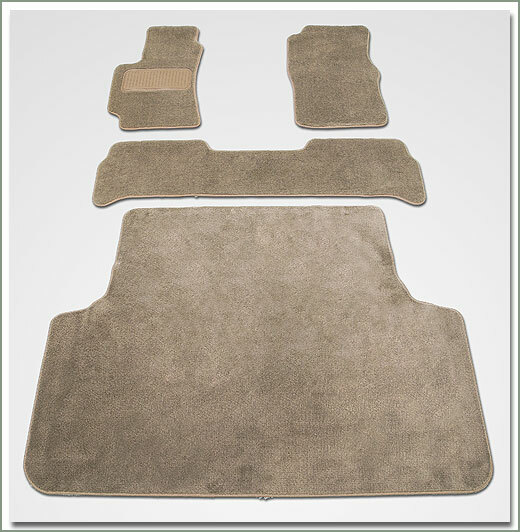 For complete carpet sets for your 62 Series, see SOR Premium Carpet Sets on page 343. 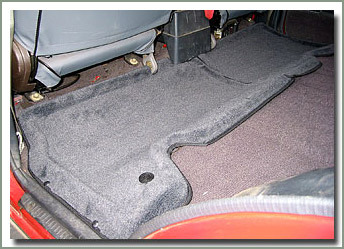 For Rubber mats, See 340 for SOR Tuff Tread Mats and page 345 for SOR Tuff Tread Floor Liners. 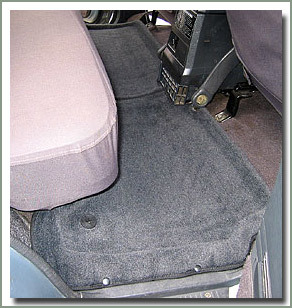 FITS 8/87-1/90 FJ62 - Reproduction of the factory OEM mats which were available from Toyota as a factory option back in the day. 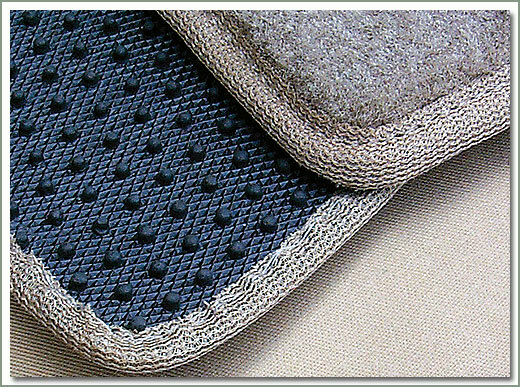 These delux carpet mats made of 100% Dupont BFC nylon carpeting, PVC nib textured backing which helps hold the mats in place. 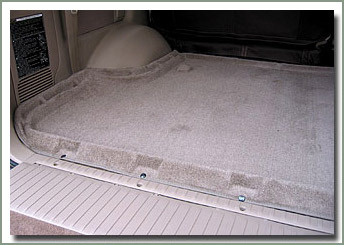 Mats are trimmed and top stitched for a durable finish. 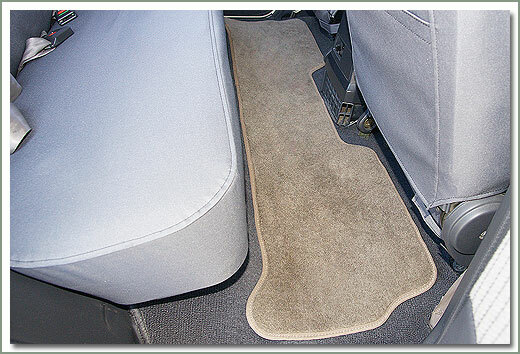 This mat set comes with front driver mat with heel pad, front passenger mat, mid row passenger 1 piece mat. 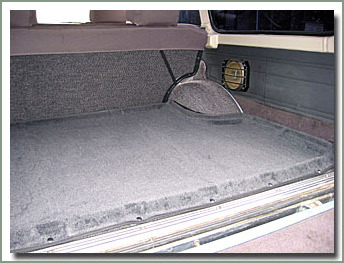 SOR has added a rear cargo area mat to make this set complete. Color Tan. Limited quantity on hand. 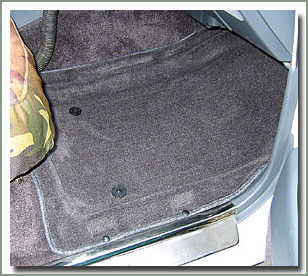 Grey carpet - Fits 8/87-1/90 62 Series rear cargo area - Made of automotive grade plush pile carpet - Heat molded to the individual contours of the floor with raised edges that trap dirt - Securely positioned with carpet lock tabs - Easy to remove for cleaning - 1 piece - Matching front and mid passenger mats are NO LONGER available.